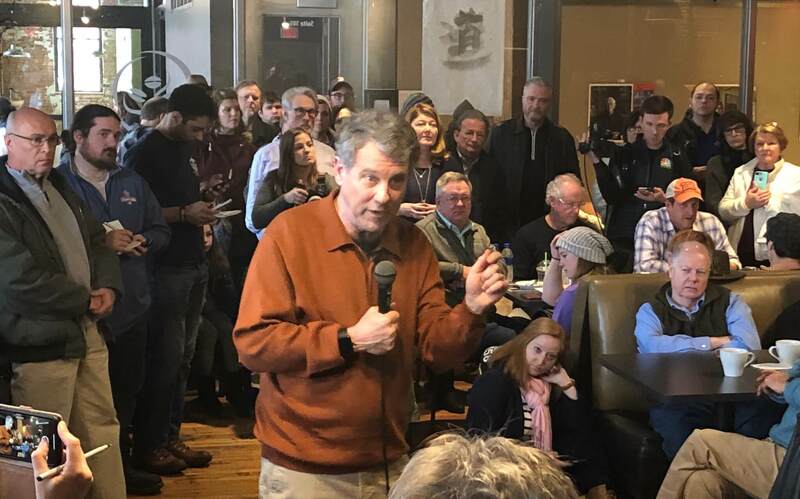 Guest post from Nan Whaley, the mayor of Dayton, Ohio and the co-chair of the Committee to Draft Sherrod Brown for President 2020. She visited Iowa last week. When my friend Sherrod Brown was first elected to the U.S. Senate in 2006, he joked that his new chamber was full of “99 people who wanted to be President.” Sherrod’s mindset has always been different – focused on the work at hand and the Ohioans he represents, not his advancing his own career. In the years since, Sherrod has pieced together an impressive string of accomplishments, much to the chagrin of big-moneyed interests who have spent tens of millions of dollars to defeat him in Ohio. It now feels surreal to see Sherrod considering a run for President, uncomfortable as he’s always been with self-promotion. I know Sherrod wouldn’t step forth unless he knew he could win, and unless he knew he could do the job better than anyone else. I can’t speak to Sherrod’s decision-making process, but if my experience in Iowa last week with the Draft Sherrod Brown effort is any indication, he should run for president. 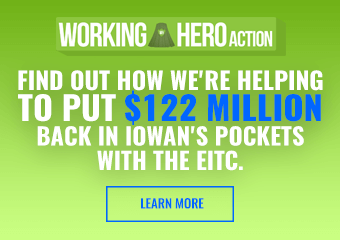 I met activists, legislators, and enthusiastic caucus-goers in Waterloo, Iowa City, and Des Moines. All were intrigued – if not outright excited – by the possibility of a Sherrod Brown candidacy. Some already know Sherrod for his steadfast progressive values. Some view him as a ‘moderate,’ perhaps more for his famous style of retail, personal politics than his unequivocally progressive policies. The variety of perceptions is an asset for Sherrod, whose appeal crosses preconceived boundaries. Sherrod would stand alone in this primary as a three-term Senator with a proven ability to win in the industrial Midwest without compromising his values. 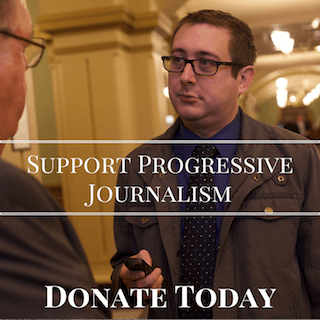 A skill for bluntly communicating progressive ideas led to his runaway victory over a strong Senate incumbent in 2006, outperforming Barack Obama by 3 points for re-election in 2012, and a third victory in 2018. Last year, his margin was 7 points — a 15-point swing from Trump’s victory in Ohio in 2016. Sherrod can win Wisconsin. He can win Pennsylvania. He can win Michigan. 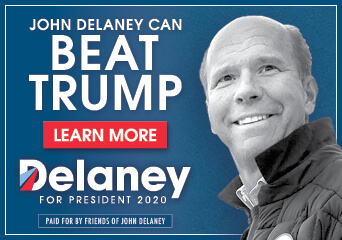 And yes, he can even win Ohio. For a party still deciding who, and what exactly, deserves its unified support, Sherrod Brown can reach all wings of the party. Sherrod is a credible ally of all constituencies in our party, with a solid grasp of movement politics and demonstrated ability to win tough races. He’s never been one to showboat or make promises he can’t keep. He doesn’t grandstand and he’s not extravagant. He lacks pretension nearly as much as he lacks fashion sense. Dig in, and you’ll be impressed — on issue after issue — with Sherrod’s foresight and consistency in fighting for progressive values. We must remember our ultimate goal should be presenting the American people with a vision for the future that inspires without lying or sugarcoating the challenges we face. Along the way, we can send Donald Trump packing with a defiant and unapologetic rebuke. Sherrod Brown is the candidate best equipped to do so, and he can win without sacrificing a single progressive value. Not civil rights. Not women’s rights. Not economic justice, nor the rights of organized labor. With Sherrod, we can reject the false choice of picking between appealing to progressive voters or the white working class. As he’s said time and time again, Democrats can and must do both. Between now and February 3, 2020, Iowa caucus goers hold the immense power to shape the direction of this Democratic primary, and with it, the direction of our nation and world for years to come. Americans have seen enough flash and fool’s gold from recent candidates to last a lifetime. With Sherrod Brown, what you see is what you get. Ohioans have seen him up close and personal for quite some time. We can’t wait for the rest of you to be introduced, and we promise you won’t be disappointed. Nan Whaley is Mayor of Dayton, Ohio and Co-Chair of the Committee to Draft Sherrod Brown for President 2020. To learn more and get involved with the Draft Sherrod Brown effort, visit www.2020sherrod.com. Brown is going nowhere. Zero chance a white male will be the DNC nominee in 2020.